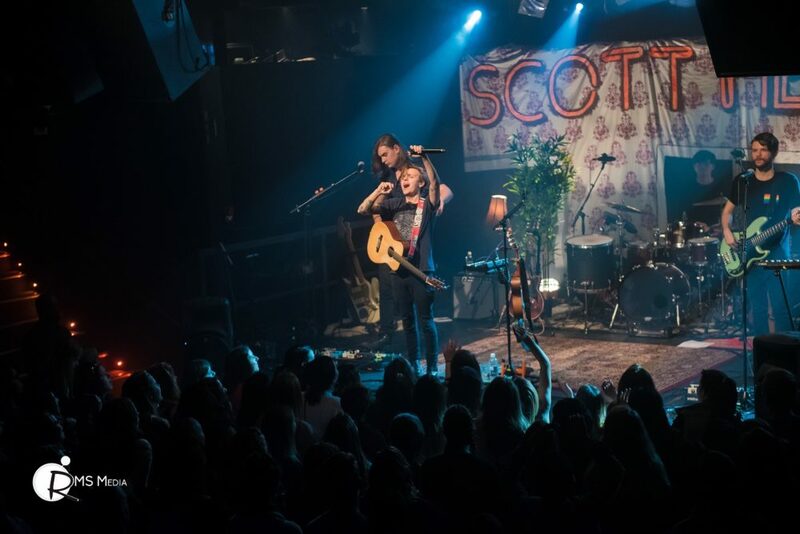 BlueprintLive presented Scott Helman and Ria Mae at the Capital Ballroom (formerly Sugar Nightclub) in Victoria Wednesday November 8, 2017 on their coast to coast “Scott vs. Ria Breaking Hearts not Bones tour”. Up first was Halifax’s own Ria Mae who delighted the nearly sold out crowd, the place went crazy for her breakout song “Clothes Off”. It seemed most fans were most excited for Scott Helman, he came out to a huge roar from the mostly female fans who outnumbered the males by about 5 to 1. Scott’s set was felt like a living room with complete with throw rugs and lamps. A highlight of the night was his cover of Hand In My Pocket by Alanis Morissette.